EXPORTA EN MAS DE 65 PAISES. ES UN PLAYER DE REFERENCIA INTERNACIONAL EN EL SECTOR DEL DISEÑO Y FABRICACIÓN DE DISPENSADORES Y ACCESORIOS PARA LA HIGIENE EN LOS LUGARES PÚBLICOS Y PRIVADOS. 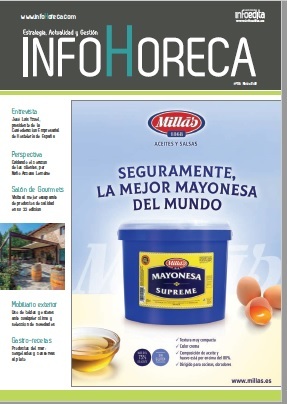 DISPONE DE UNA SUPERFICIE PRODUCTIVA DE +15.000 MQ. Y TODAS NUESTRAS REFERENCIAS NACEN EN ITALIA, SE FABRICAN EN ITALIA CON CERTIFICACIÓN MADE in ITALY Y SE EXPORTAN EN MAS DE 65 PAÍSES. UN PARTNER INTERNACIONAL DE CONFIANZA CON MAS DE MEDIO SIGLO DE EXPERIENCIA. LA LINEA EXCLUSIVA "COLORED" SE COMPONE DE UN SET COMPLETO COMPUESTO DE DOSIFICADOR, DISPENSADOR, ETC. PENSADA PARA UN AMBIENTE EXCLUSIVO Y ELEGANTE. LA LINEA DUO, CON SU DOSIFICADO DE JABÓN y PAPEL SECAMANO "ALL-IN-ONE" (TODO EN UNO) + SU ESCOBILLERO Y DISPENSADOR DE PAPEL HIGIÉNICO "ALL-IN-ONE", SON ÚNICOS EN EL MERCADO. Contacte con MAR PLAST Group S.p.A.